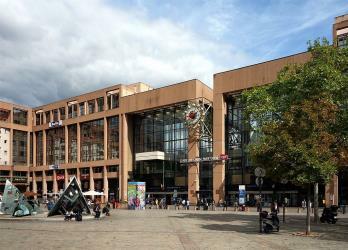 What is the cheapest way to get from Clermont-Ferrand to Strasbourg? 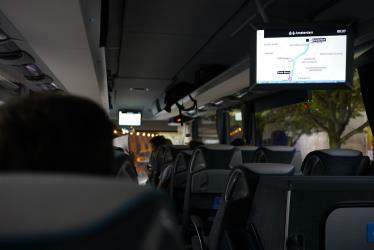 The cheapest way to get from Clermont-Ferrand to Strasbourg is to bus which costs 30€ - 55€ and takes 11h. 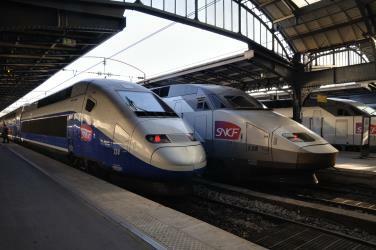 What is the fastest way to get from Clermont-Ferrand to Strasbourg? The quickest way to get from Clermont-Ferrand to Strasbourg is to train and fly which costs 85€ - 380€ and takes 5h 29m. 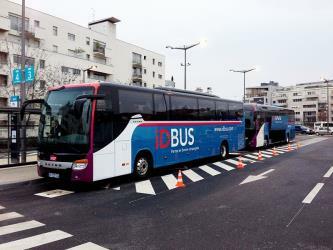 Is there a direct bus between Clermont-Ferrand and Strasbourg? 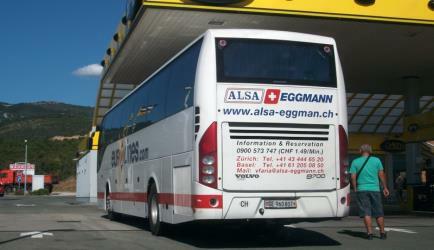 No, there is no direct bus from Clermont-Ferrand to Strasbourg. 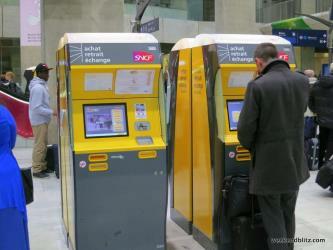 However, there are services departing from Clermont-Ferrand and arriving at Strasbourg via Lyon. 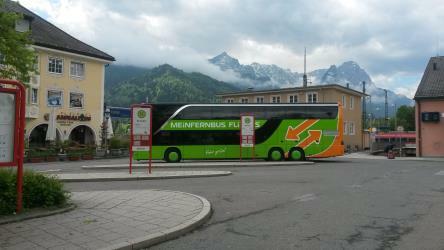 The journey, including transfers, takes approximately 11h. Is there a direct train between Clermont-Ferrand and Strasbourg? No, there is no direct train from Clermont-Ferrand to Strasbourg. However, there are services departing from Clermont-Ferrand and arriving at Strasbourg via Lyon Part Dieu. The journey, including transfers, takes approximately 6h 58m. How far is it from Clermont-Ferrand to Strasbourg? The distance between Clermont-Ferrand and Strasbourg is 470 km. The road distance is 632.6 km. How do I travel from Clermont-Ferrand to Strasbourg without a car? The best way to get from Clermont-Ferrand to Strasbourg without a car is to train which takes 6h 58m and costs 110€ - 140€. How long does it take to get from Clermont-Ferrand to Strasbourg? 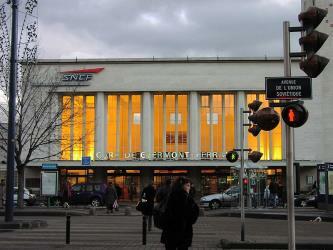 It takes approximately 6h 58m to get from Clermont-Ferrand to Strasbourg, including transfers. Where do I catch the Clermont-Ferrand to Strasbourg bus from? 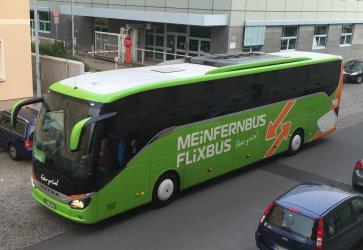 Clermont-Ferrand to Strasbourg bus services, operated by FlixBus, depart from Clermont-Ferrand station. Where do I catch the Clermont-Ferrand to Strasbourg train from? Clermont-Ferrand to Strasbourg train services, operated by SNCF, depart from Clermont-Ferrand station. 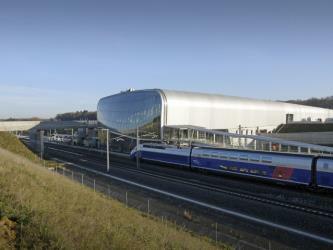 Train, bus or fly from Clermont-Ferrand to Strasbourg? The best way to get from Clermont-Ferrand to Strasbourg is to train which takes 6h 58m and costs 110€ - 140€. 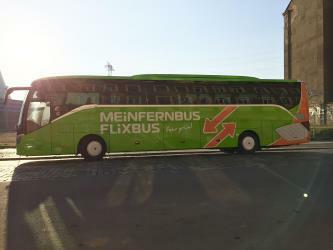 Alternatively, you can bus, which costs 30€ - 55€ and takes 11h, you could also fly, which costs 130€ - 400€ and takes 7h 18m. 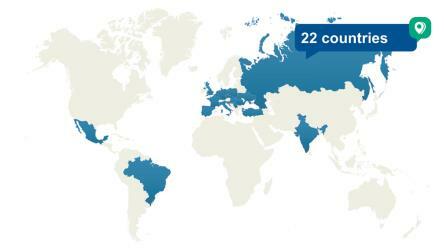 What companies run services between Clermont-Ferrand, France and Strasbourg, France? You can take a train from Clermont-Ferrand to Strasbourg via Lyon Part Dieu in around 6h 58m. 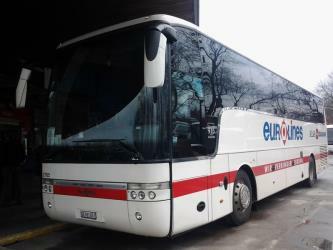 Alternatively, you can take a bus from Clermont-Ferrand to Strasbourg via Lyon, Lyon Perrache and Lyon in around 11h. How long is the flight from Clermont-Ferrand to Strasbourg? There is no direct flight from Clermont-Ferrand Airport to Strasbourg Airport. The quickest flight takes 5h 50m and has one stopover. 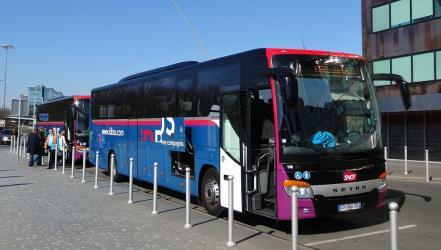 Where does the Clermont-Ferrand to Strasbourg bus arrive? 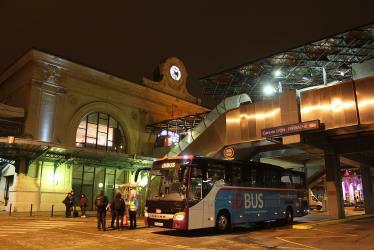 Clermont-Ferrand to Strasbourg bus services, operated by Isilines, arrive at Strasbourg station. Where does the Clermont-Ferrand to Strasbourg train arrive? Clermont-Ferrand to Strasbourg train services, operated by inOui TGV, arrive at Strasbourg station. Can I drive from Clermont-Ferrand to Strasbourg? Yes, the driving distance between Clermont-Ferrand to Strasbourg is 633 km. It takes approximately 5h 52m to drive from Clermont-Ferrand to Strasbourg. Which airlines fly from Clermont-Ferrand Airport to Strasbourg Airport? Air Corsica, Hop! 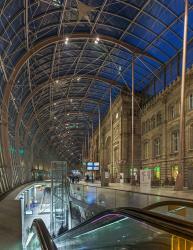 and Air France offer flights from Clermont-Ferrand Airport to Strasbourg Airport. How do I get a train ticket from Clermont-Ferrand to Strasbourg? 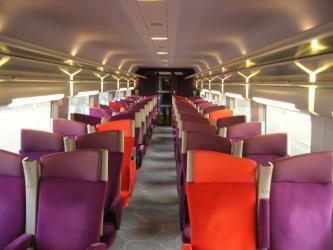 Book your Clermont-Ferrand to Strasbourg train tickets online with Rome2rio. Can I share a ride from Clermont-Ferrand to Strasbourg? 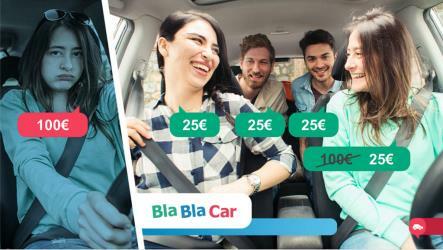 Check out Blablacar's carpooling service for rideshare options between Clermont-Ferrand and Strasbourg. A great option if you don't have a driver's licence or want to avoid public transport. Strasbourg Cathedral or the Cathedral of Our Lady of Strasbourg (French: Cathédrale Notre-Dame de Strasbourg, or Cathédrale de Strasbourg, German: Liebfrauenmünster zu Straßburg or Straßburger Münster), also known as Strasbourg Minster, is a Roman Catholic cathedral in Strasbourg, Alsace, France. Although considerable parts of it are still in Romanesque architecture, it is widely considered to be among the finest examples of high, or late, Gothic architecture. Erwin von Steinbach is credited for major contributions from 1277 to his death in 1318. The Musée alsacien (Alsatian museum) is a museum in Strasbourg in the Bas-Rhin department of France. It opened on 11 May 1907 and is dedicated to all aspects of (mostly rural) daily life in pre-industrial and early industrial Alsace. It contains over 5000 exhibits and is notable for the reconstruction of the interiors of several traditional houses. It also features a rich collection of artifacts documenting the everyday life of Alsatian Jews. Rome2rio makes travelling from Clermont-Ferrand to Strasbourg easy. Rome2rio is a door-to-door travel information and booking engine, helping you get to and from any location in the world. 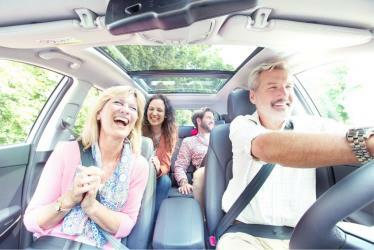 Find all the transport options for your trip from Clermont-Ferrand to Strasbourg right here. Rome2rio displays up to date schedules, route maps, journey times and estimated fares from relevant transport operators, ensuring you can make an informed decision about which option will suit you best. Rome2rio also offers online bookings for selected operators, making reservations easy and straightforward.